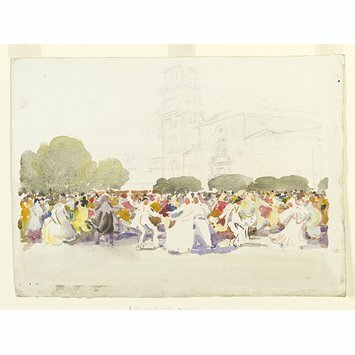 Watercolour entitled 'A Spanish Carnival, Algeciras'. 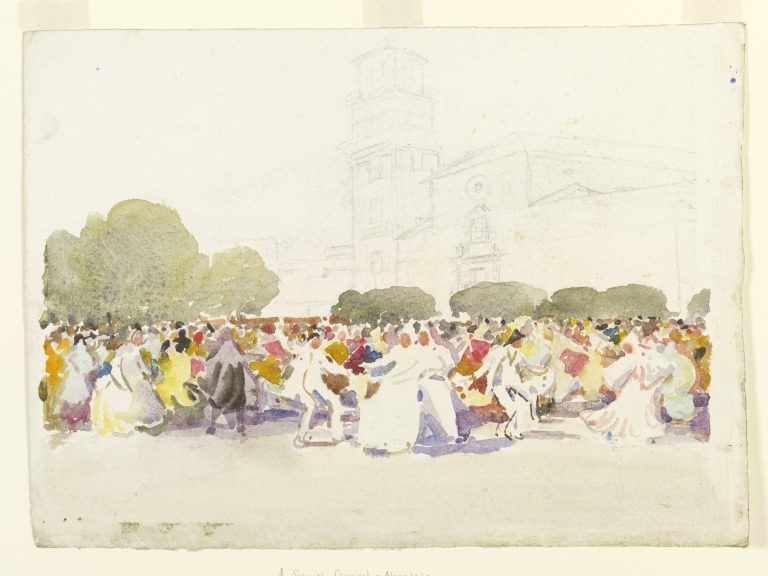 Watercolour entitled 'A Spanish Carnival, Algeciras' by Sir Alfred East. British School, ca. 1882-1910.